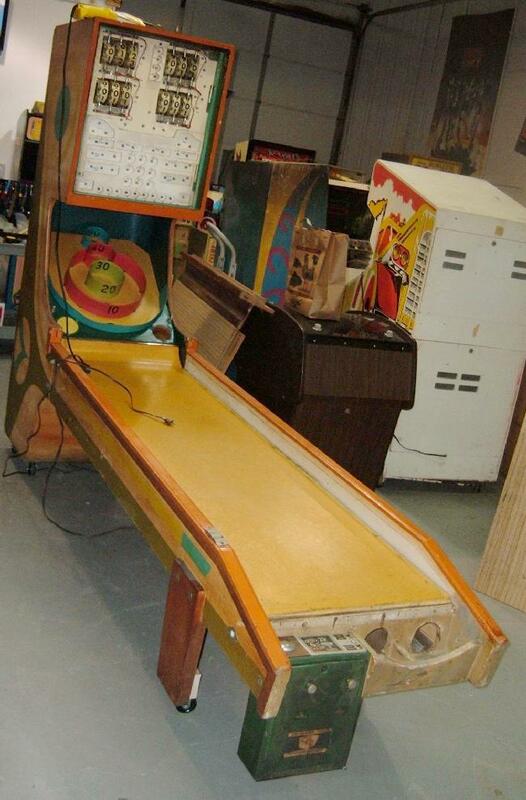 Seeing how we’re in “skee ball mode”, I guess we should document the repair of this 1967 Chicago Coin Criss Cross Ski Ball game. 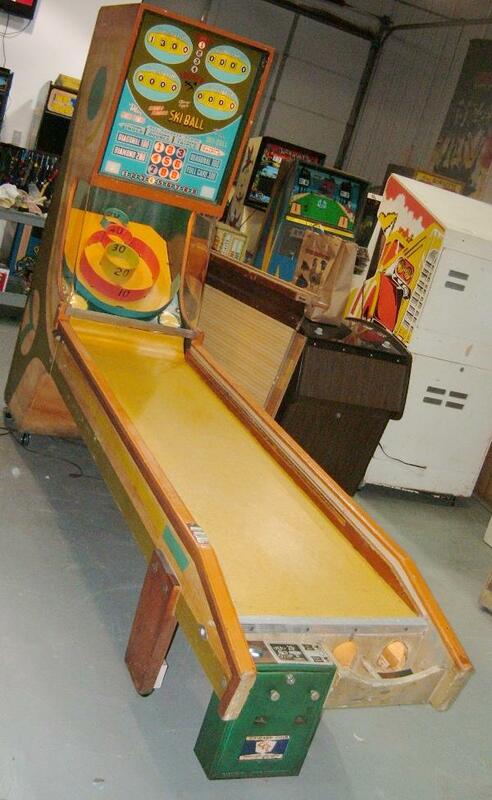 In the prior post we talked about the Keeney skee ball. Here’s one that came in that same 40 game warehouse buy, and a game we decided to keep for the museum. Why this one? For one it’s in far better condition than the 10 year older Keeney. Also it’s a foot longer (longer is alway better when it comes to bowling games.) Finally the criss-cross feature of this game makes it quite unique. 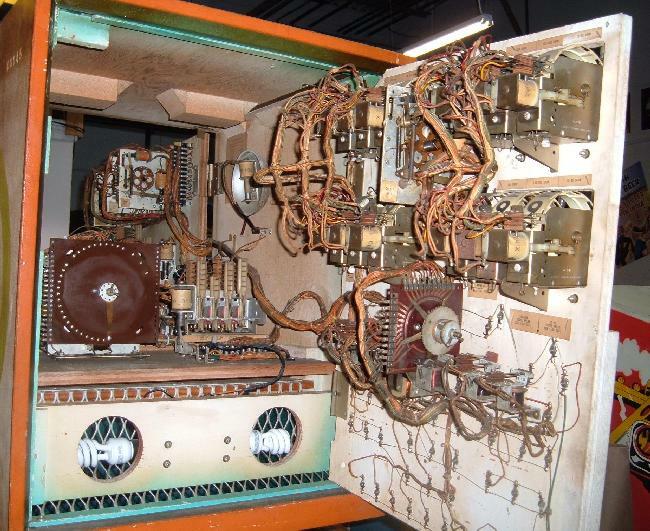 We’ll talk about that aspect later, let’s get down to what we did to restore the machine. 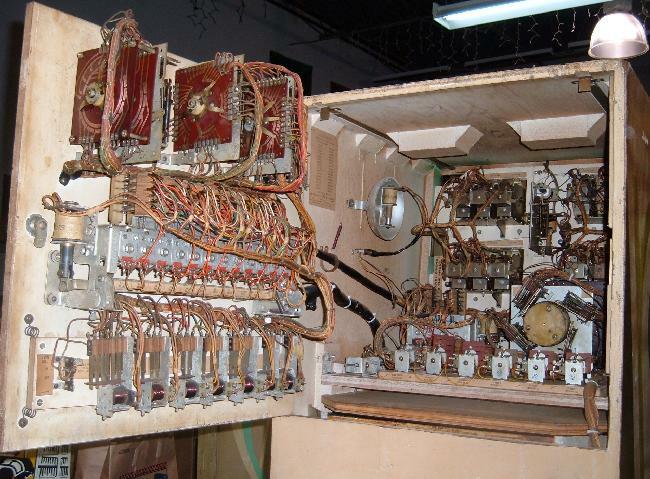 Here’s the front panel opened. 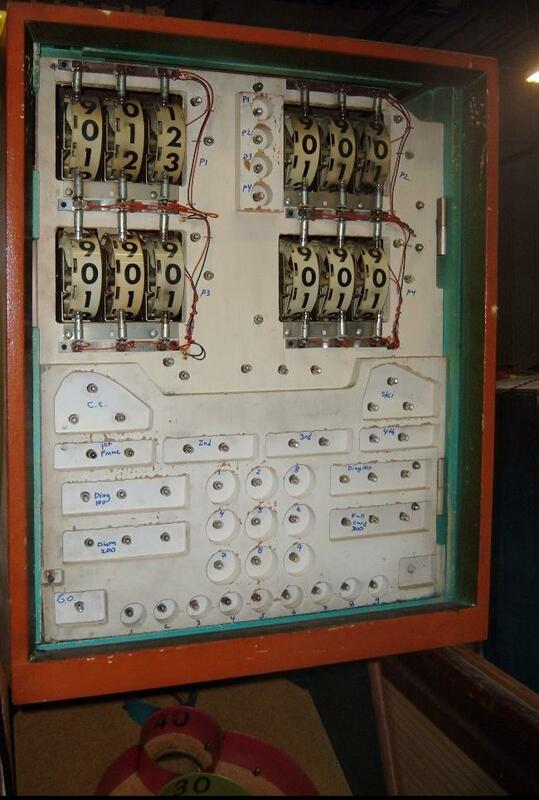 More relays, switches, score reels and the score motor to clean and check for adjustment. Note this game has a “flash” style motorized stepper unit. This is part of the criss-cross feature. That needed some attention too, otherwise the game just wasn’t going to work right. The ball pit area was pretty much identical to the Keeney skee ball. 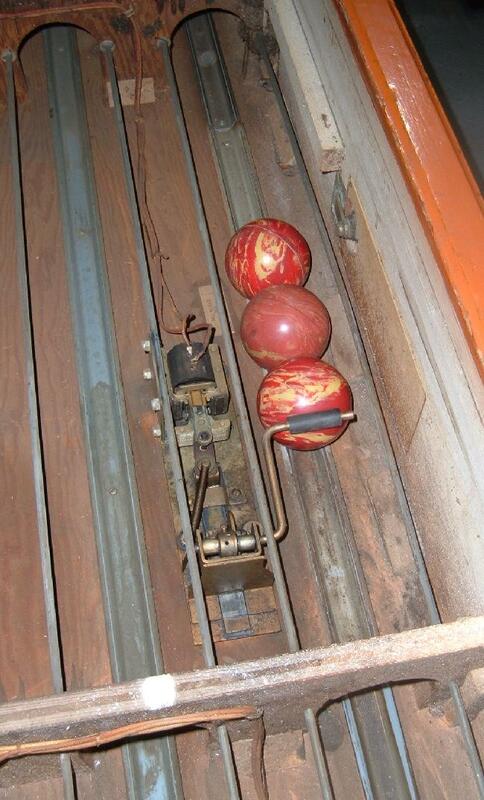 Same concept, a switch for each of the scoring levels (10 to 50 points), and a mech to only allow one ball through the scoring switch at a time. This of course makes sure all balls are scored, because in skee ball, you can throw balls as fast as the player would like. 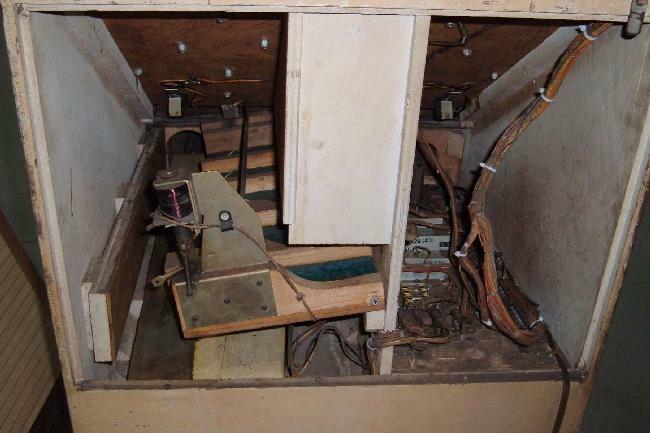 Having 2 balls going across a scoring switch simultaneously would miss a score. The game was now working, but there was some player confusion to how the rules worked. 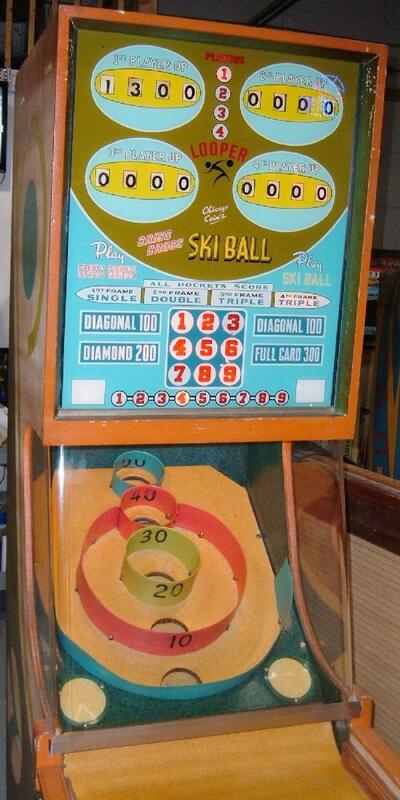 Criss Cross is the default game, though standard “skee ball” could also be selected. Criss cross was pretty cool though. As the ball is thrown it passes a switch as the ball enters any of the scoring hole. This locks in a moving number from 1 to 9. The object is to fill out the “flash card”, but points are awarded as pieces of the card are completed. For example there are two diagonal 100 point levels, and a diamond (“plus sign”) 200 point level. Get the last number and you’re awarded 300 points. It’s best, as a player, to let others go before you, so they complete more of the card! Ha! But this aspect of the game play is pretty fun. Hit the 50 point pocket and you get an extra ball too. Overall this game has been a major hit at the club house. It’s a very competitive game, and people really seem to enjoy playing it. A good buy for Tilt Town!